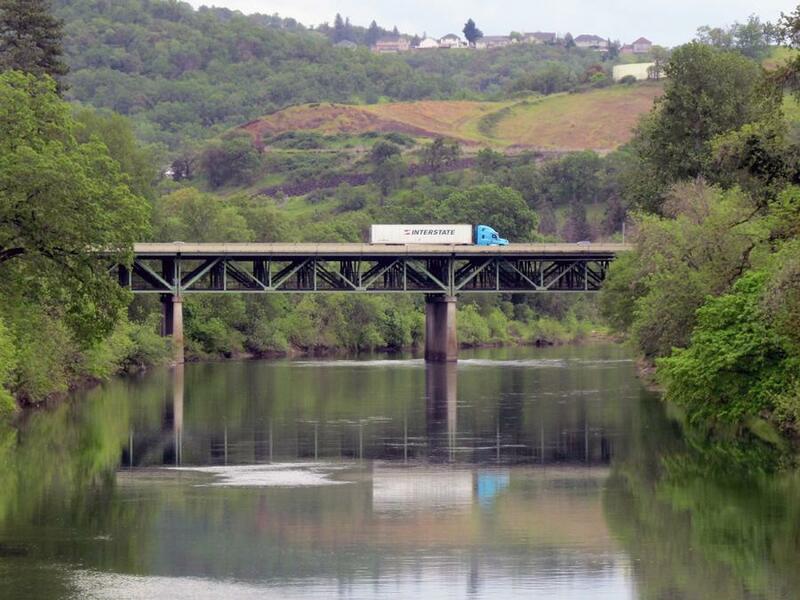 Oregon Department of Transportation photo A truck traveling south on Interstate 5 is seen crossing the South Umpqua River (Vets) Bridge in Roseburg, Ore., on April 27, 2018. The Oregon Department of Transportation will oversee repairs to the bridge from spring 2018 to fall 2019. 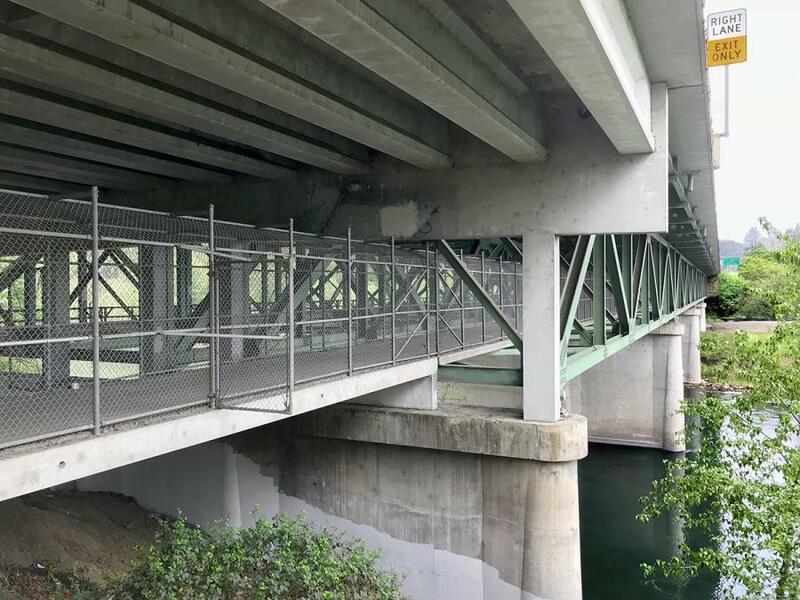 Pedestrians should watch for construction activity along the path between Roseburg High School and Gaddis Park as construction begins on the Interstate 5 “Vets” Bridge. The pedestrian path, including the walkway that spans the South Umpqua River, will remain open most of the time during the 18-month project. Construction may require brief closures of the walkway for less than 20 minutes at various times. Flaggers will guide pedestrians, bicyclists and disabled individuals as needed. The $9.6 million project will remove the old lead paint and recoat the steel truss, repair or replace the bridge bearings and joints, resurface the deck and seal cracks in the concrete. The bridge also will be strengthened to better withstand earthquakes. Prime contractor F.D. Thomas will install a work enclosure around the truss to prevent contamination of the river and surrounding area. A staging area is located under the north end of the bridge, next to Gaddis Park. Access to this area is restricted to the contractor and authorized staff. Construction is scheduled for weekdays. Nearby residents should expect noise consistent with bridge work. Vets Bridge was built in 1955. In the 1970s, the bridge was widened to accommodate more traffic lanes and provide a walkway below the main deck.